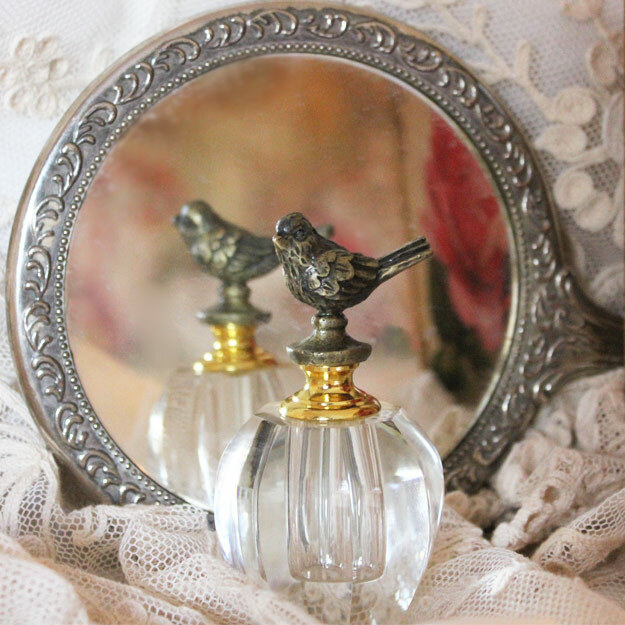 A little gold bird sits on top of this beautiful glass perfume bottle. The bottle measures 4.5 inches high and is a perfect addittion to your dresser or vanity. Fill with your favorite scent and apply with the glass dauber. A perfect gift to yourself... or a friend.